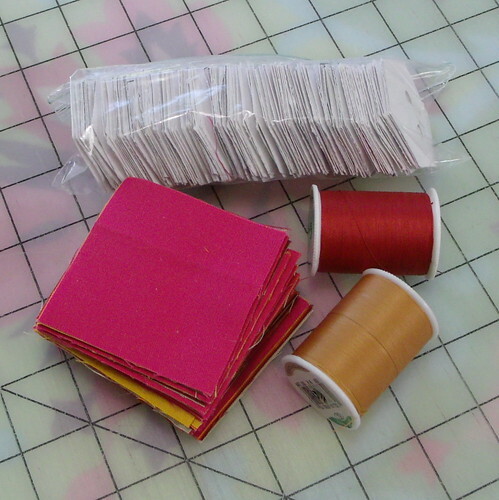 The most difficult part of going on a retreat or to a sew in is getting everything you need to the retreat location in a neat package. 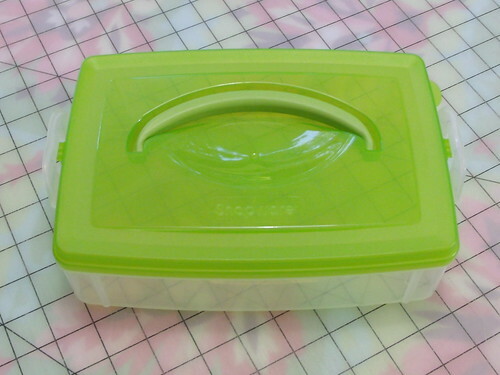 For staying organized in a small space, I like to use Snapware. 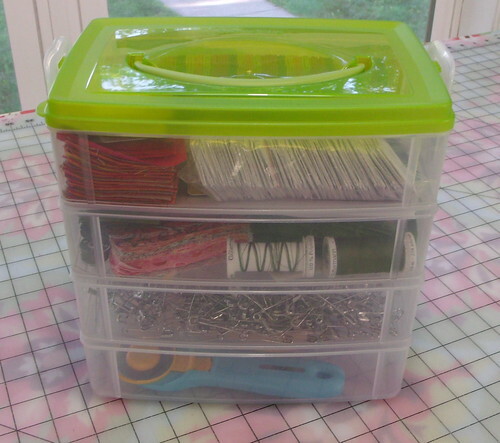 You can find boxes like the one above in groups of three at Target and JoAnn Fabric. 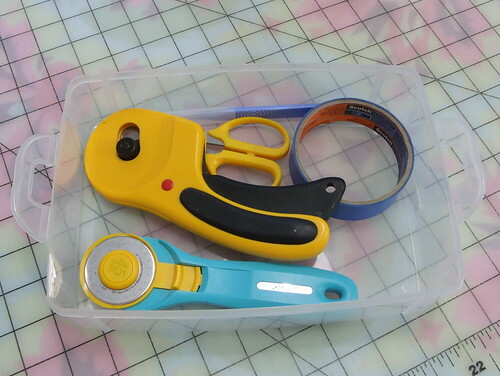 They're wonderful for holding your bits of fabric with the appropriate thread and pattern all in one place. 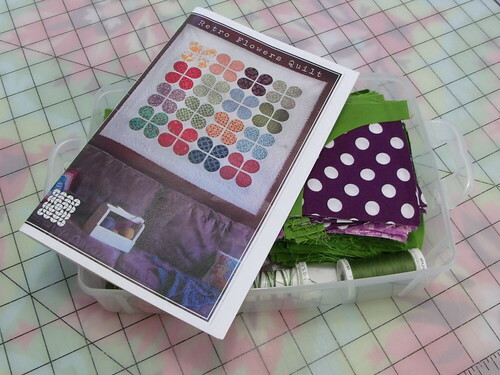 ...or you can bring all your pins to baste a quilt at the retreat, where there's more space than your tiny living room! Of course, being obsessed with 1" hexagons as I am, I like to load up a box with the perfect car (passenger) project! 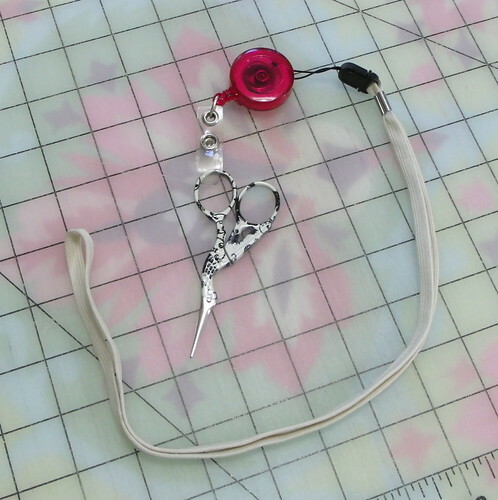 This car kit includes a pair of scissors on a lanyard with a retractable badge holder attached, keeping then handily around my neck, so I don't have to dig them out every time I need to snip. 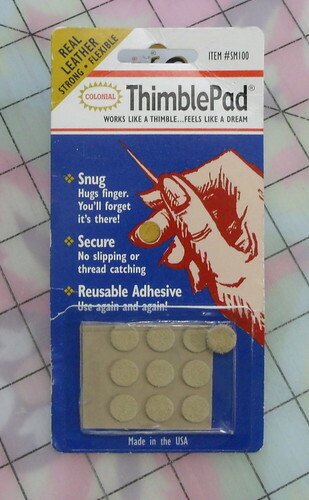 ...and a package of ThimblePads, just in case my finger starts to get sore or my callus comes off. 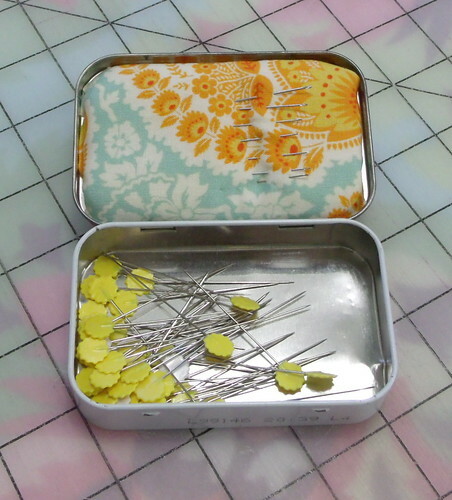 ...I have glued a bit of batting to the top and covered it with fabric from my scrap bin for a need holder, while the bottom holds all the pins I use to hold my hexies in place when basting! It all fits perfectly in my lap as my traveling partner drives. 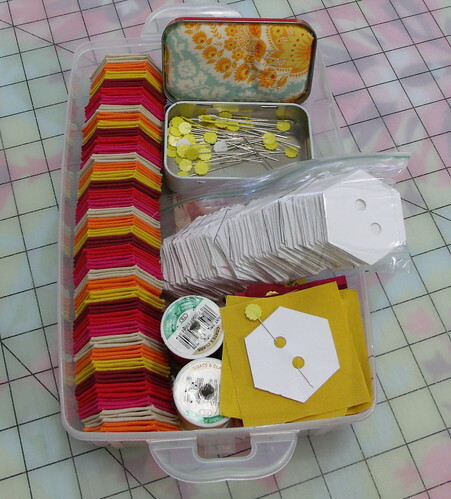 Stack all the boxes for an easy, organized retreat package! 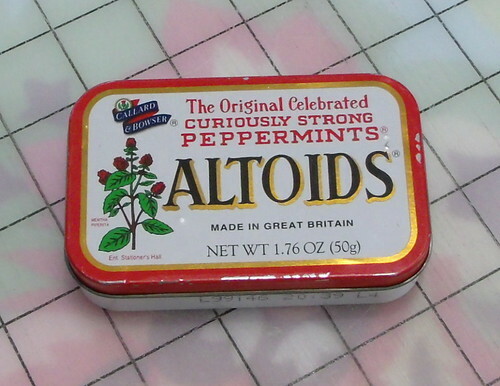 Love your little Altoid Tin - great idea - much better than my baggie carrier. I need to make me one of those. 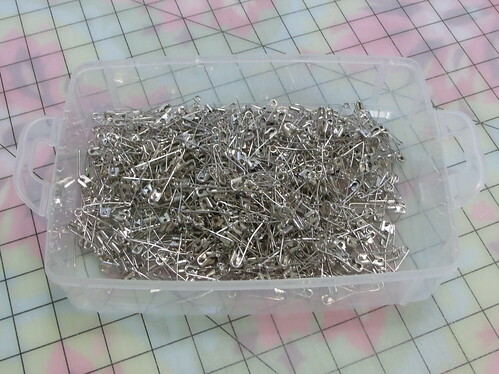 Think I'll add a magnet strip on the bottom too so those pesky straight pins won't jump out of the tin at the most inopportune time! 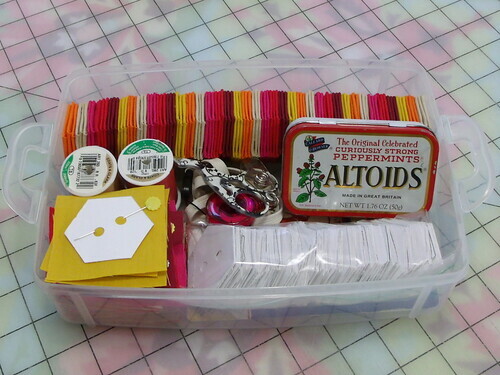 I may use your idea of the little tupperware type boxes! Great ideas. 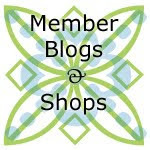 Can't tell you how many times I misplaced my embroidery scissors in the last two weeks!